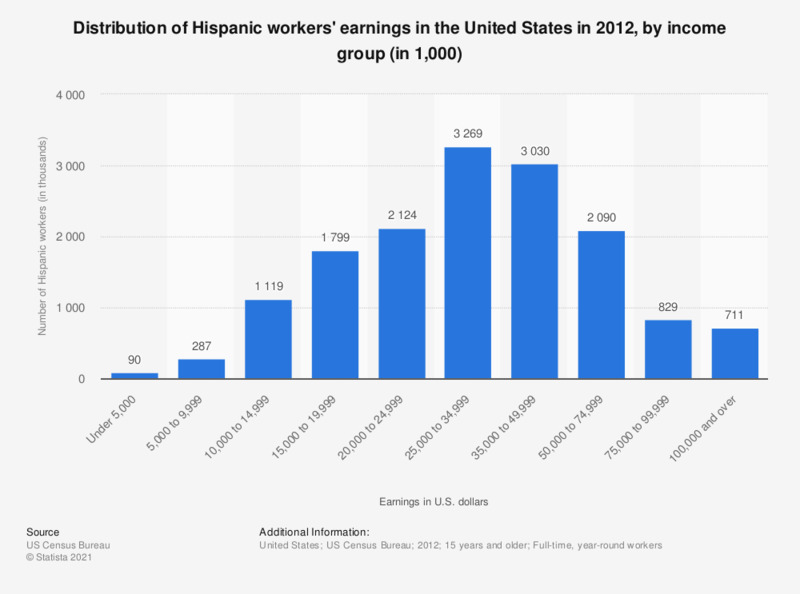 The statistic shows the distribution of Hispanic workers' earnings in the United States in 2012, by income group. In 2012, about 711 thousand Hispanic workers were making more than 100,000 U.S. dollars a year. That's about 4.6 percent of the working Hispanic population.